The Ship Inn, AKA ‘The Old Lady of Fowey’ is a Grade II* listed building. Although officially built for John Rashleigh in 1570, according to English Heritage, it was probably a merchant’s house before this, dating back to the 1400s. There are very few pubs around with so many of the original features intact. For the old buildings enthusiast look out for Killas rubble on the ground floor, Pentewan stone and freestone to original dressings and chunky Delabole slate. 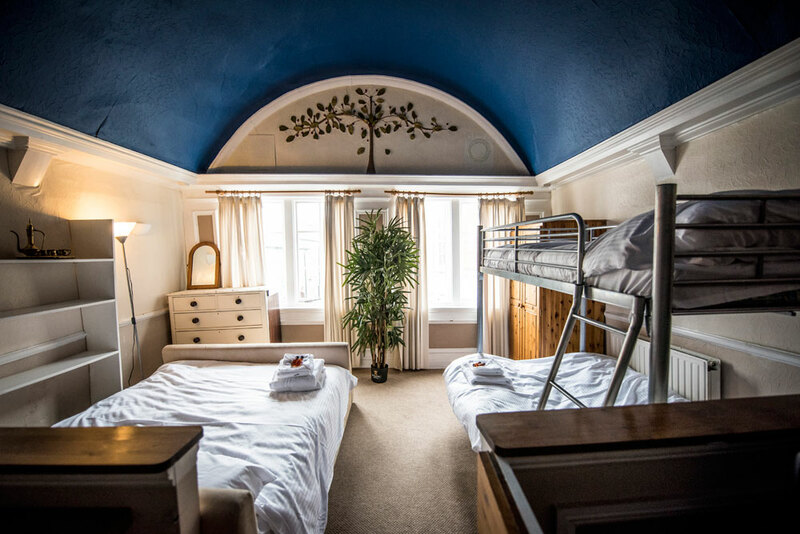 Because it’s been added to and rebuilt over its long history, it has evolved into a beautiful, higgledy-piggeldy old building with nooks and crannies and old panelled rooms at every turn where you can hide out or snuggle in for the duration. The large open fire at The Ship Inn with the bust of original owner John Rashleigh watching over us all, is the focal point of the pub. If it gets too hot, relax in an alcove round the corner, sup your beer, browse the fantastic menu, have a read through today’s papers. We do rooms. Traditional, beautiful, comfortable. So if you think you might not make it back home, or you’re planning a proper stay, just ask. Breakfast with produce from farms just down the road, all inclusive.